In his Founder’s Letter, Sundar Pichai made a statement that, “In future, devices will fade away”. What he meant was that soon it won’t matter whether it is a phone, a laptop, a TV or a watch. Man-to-Machine or Machine-to-Man interactions will be powered by Artificial Intelligence and make ‘Banking without Interface’ a viable reality. It is difficult for most of us today, to imagine a Bank without a physical interface. Numerous experiments took place in this field and failed to attract and convince the masses. A bank still remains a physical entity for most of us that we interact through some form of an interface. 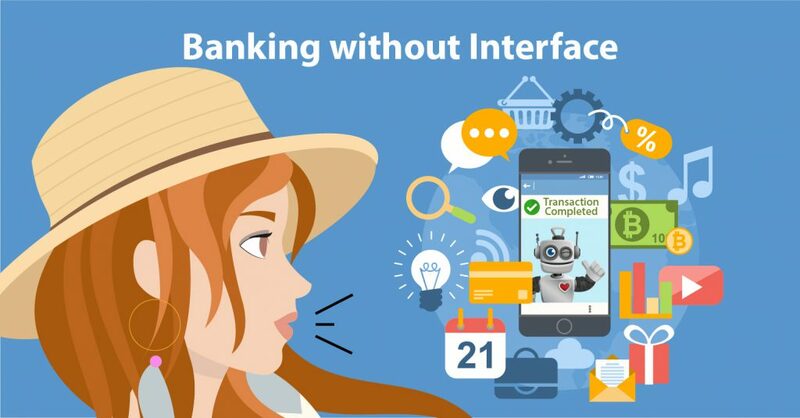 The interface may have changed its form over the years – a branch, an ATM, Internet Banking, and Mobile Banking – but an interface still plays a key role in all our banking transactions. It prompts you to enter your MPIN. It prompts with the pre-filled form and asks you to confirm. You click “Confirm” and done! You just completed a transaction! You paid a bill – just like that! Now, in this transaction, or the one mentioned at the beginning, you will notice that there was NO interface – there was an interaction. And this is the future of banking – and all kinds of transactions at large. Interesting? Unbelievable? Unsure? Let us assume that you believe the future that I just showed you … or this is the ‘desired state’ that you imagine would exist … so let us think about an architecture that would be capable of enabling such ‘almost-human’ interactions. I visualize an Enterprise Event Aggregation Engine that would enable a Bank to aggregate events from multiple sources such as the Bank’s own systems, third party systems, social media, merchants and partners. The critical factor here would be to have the engine intelligent enough to pick relevant events of a given customer and put those partnerships in the right place. Once this important step is reached, enough technologies are capable of taking up integration work – the puzzle is now half solved already! The other half of this challenge is to deliver these events, with appropriate action, to the customer. This could be done through physical applications like the internet, mobile, actionable notifications or more futuristically, BOT interactions. The job, however, does not end with the delivery of the event! It is actually just the beginning of the transaction. It has to integrate back to the source application to complete the transaction and ensure that interaction reaches its logical conclusion. Intelligence gathered from a customer’s transaction data analysis tells the bank that he is a frequent traveler. It now prompts the customer to update his frequent flyer number and seeks permission to fetch travel information from the airline. Now when the customer travels next, the bank gets a notification from the airline. Instead of the frequent flyer number, the bank can obtain the information from the card or account used for making payments. However to do this, the bank would require context sensitive information about the payment transactions. The Bank now prompts this event to the customer with a cue to buy travel insurance or forex card or even international SIM card and an action prompt to buy the same. If the customer intends to proceed, the Bank can help him execute the transaction with few quick clicks. Result – Happy customer, happy bank! As a conventional banker, you may think this is too far-fetched to be practical. However this is not just a theory, but something that already exists in another form. Take ‘Google Adwords’ or “Google Now” for example. They collect intelligence from our emails, online transactions, chats and social media and display ads / notifications that are more relevant to us, thereby increasing the probability of us clicking on them and a possible transaction ensuing! My theory is simply extrapolating the same logic to the Banking world! With over 17 years of enriching experience in the industry, Sudhir is an expert in areas like Cash Management Operations, Product Management, Customer Engagement and Presales. Throughout his career Sudhir has contributed to the industry via various white papers and articles on topics like Payments, Cash Management, Revenue Management, Customer Centricity and Enterprise Sales. He has also assisted banks to evangelize the Revenue Management business, build business cases and define target operating models. Prior to Clayfin he has worked with eminent organizations like SunTec, CashTech Solutions (now Fundtech), Polaris and S1 Corporation (now ACI) in various roles such as Business Analyst, Product Manager and in Presales. 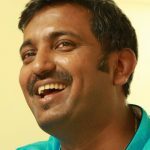 He is married to Suprada Sudhir, who is a content writer. They have a four years old daughter, Anvita. In his free time Sudhir enjoys watching good movies / dramas, reading, writing and cooking.